H.H. 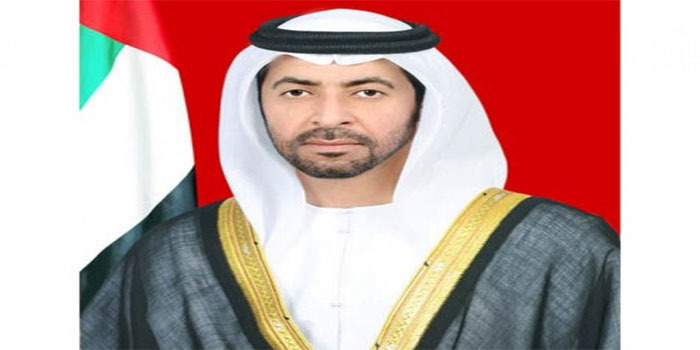 Sheikh Hamdan bin Zayed Al Nahyan, Ruler’s Representative in Al Dhafra Region and Chairman of the Emirates Red Crescent, ERC, held a telephone call with an ERC delegation currently in Colombia to assist Venezuelan refugees. His Highness was briefed on the current humanitarian situation and the status of refugees, as well as updates on the ERC’s mission to alleviate the refugees’ hardships. Sheikh Hamdan bin Zayed reviewed further the details of the aid being supplied to the refugees by the ERC, and called on the delegation to ensure that all forms of necessary support and assistance is provided to Venezuelans. The ERC delegation recently arrived to the Colombian capital, Bogota, and embarked on a comprehensive relief aid programme to assist Venezuelan refugees, especially those situated in the border city of Cucuta. Venezuela is currently witnessing an unprecedented economic and humanitarian crisis, resulting in the exodus of millions of Venezuelans into Colombian borders.